Really, the whole city of Long Beach is one big secret that LA STILL doesn’t know about, but if you dig a little deeper you'll find that The International City has a bunch of really cool other secrets (like, for one, that the official motto of Long Beach is "The International City"). LA may have its share of ultra-hyped hidden bars, but our best one's a legit secret: walk into this 1930s phone booth, plucked from a gutted LA Memorial Coliseum, pick up the receiver, and tell the person on the other side the password you received via text when your reservation was confirmed. Go ahead, do it. 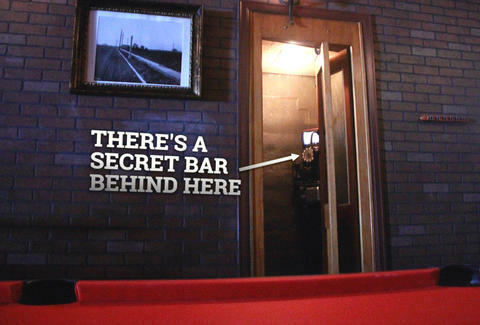 It’s the only way to get into The Exhibition Room, a super-secret speakeasy in the back of a neighborhood bar in California Heights. Inside, there’s burlesque, live piano playing, delicious cocktails, and an actual art exhibition dedicated to boozy Long Beach history. 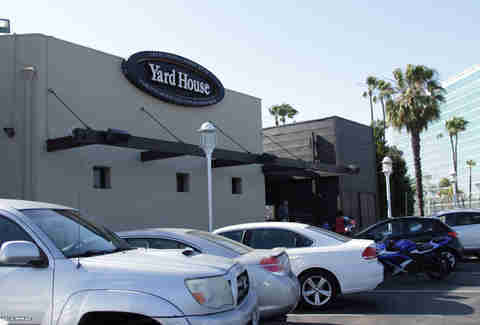 Sure, the 100 taps are ubiquitous at malls around the US, but Yard House started off innocently enough as a harbor-side restaurant in Shoreline Village, a gaudy, pastel-painted tourist trap modeled after East Coast seaside towns. Until the company sold to Olive Garden a few years ago, corporate offices remained upstairs here. Hidden Japanese garden? Hidden Japanese garden. 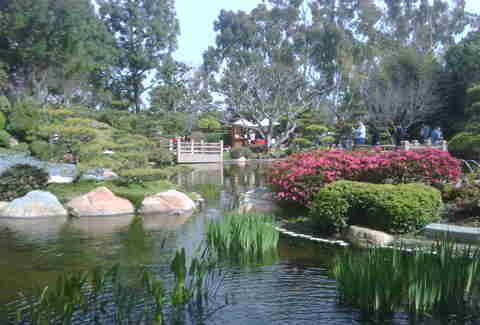 Who needs a trip all the way to LA's Huntington Library when we've got one RIGHT IN THE MIDDLE OF CSULB -- a serene 1.3-acre Japanese retreat, complete with rock gardens, koi fish, and lots of perfectly trimmed hedges. As long as there's no wedding going on, you can just... stop by. You know, for tranquility and stuff. The first oil was discovered in Signal Hill in 1921 and the black gold hasn’t stopped flowing since (maybe you’ve seen a little movie called There Will Be Blood? Yup, that’s here). 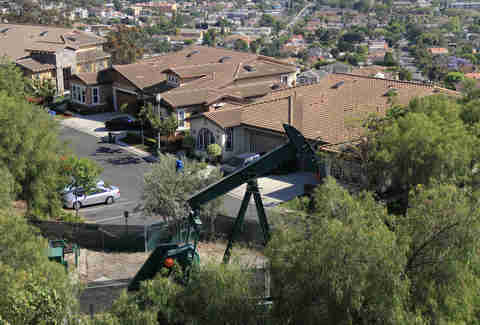 Much of the land on the mound is now filled with McMansions, but there are still working oil pumps bobbing up and down in fenced-off areas between these homes. Walk any of the public trails on the hill and you’ll quickly see the truth behind the city’s economy in action. There's a woodland habitat. In Long Beach. Really. When urban living by the beach has you down (uhhh, never? 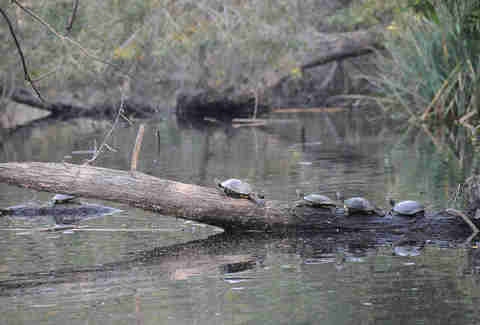 ), head to El Dorado Park, where a nature preserve is hiding with trails and woodland habitat and tree coverage that’ll make you forget concrete even exists. There are turtles in the ponds, foxes roaming the plains, and lots of bizarre-looking plants that you can’t find anywhere else in the city. 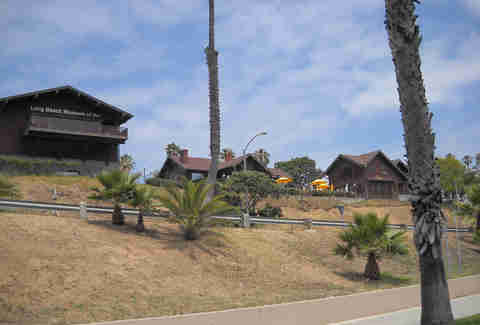 It might look like a fancy old house filled with boring exhibits today, but the Long Beach Museum of Art was once home to the most avant garde and cutting-edge video art IN THE WORLD -- thanks to a program that sponsored international video artists, who, in the 1980s, were among the first to experiment with the new medium. Its legendary archives were sold to The Getty, but we can still walk by and dream of the days when Bill Viola and The Kipper Kids did some really weird stuff with a video camera. 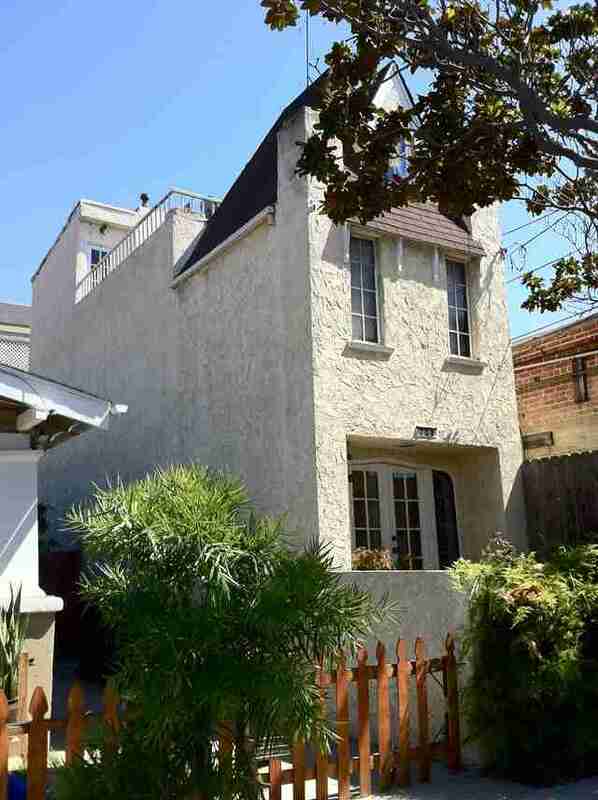 Some say it was built as a bet, others say it was built out of spite, but either way, the skinniest house in the US came out of a surveying oversight that accidentally created the 10ft by 50ft lot on which it sits. At three stories tall and with only 9ft of usable living width inside, the only benefit to living here might be the bomb Mexican food next door. 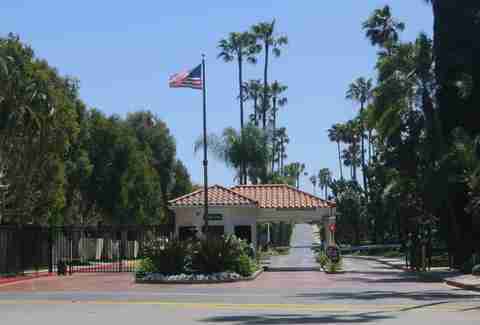 Just tell the guard you’re going to Rancho Los Alamitos and he’ll let you into the exclusive Bixby Hill gated housing community, which is entirely built around what’s left of the historic rancho. The Bixbys' original adobe house still sits on the truncated grounds and you can wander its gardens, check out the blacksmithing shop, or take a tour of the inside, which has been restored to its original 1800s glory. The sign says “Bixby Park,” but local shredders know this legendary DIY skatepark as "Cherry Park," a place where skaters used to meet and hang out, which has been made official with the addition of some street obstacles brought across town from another skatepark. On any given day, the place is packed as newbies and legit local pros -- like Danny Montoya, Rob Gonzalez, Austin Stephens, and Josh Harmony -- test out new tricks and warm up before heading elsewhere. Just don’t get in the way. Before the gaudy shopping mall, from 1902 until around 1970, the entire area South of Ocean Blvd in Downtown was what was known as The Pike, a beachside amusement park once named “The Coney Island of the West Coast.” Outer Limits Tattoo is the last man standing from this era, tucked between a new condo complex and a parking lot for the aquarium. 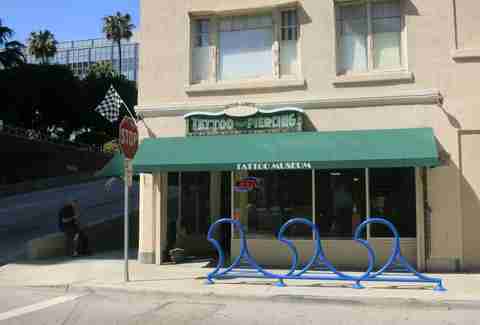 It’s the oldest operating tattoo parlor in the country and has been doing the old stick and poke continuously since 1927. You should go here for... drinks?? 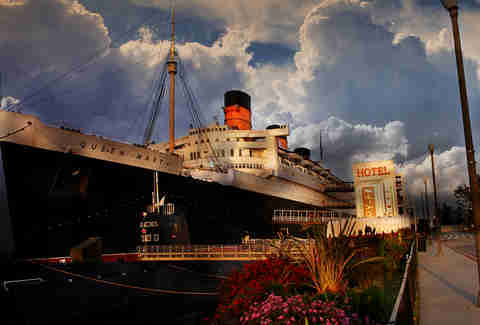 You don’t have to pay for a tour to board the moored ship/tourist attraction the Queen Mary and get a cocktail at its fully restored, Art Deco watering hole, The Observation Bar. Pre-pay downstairs for some dining dollars that can be used for apps and drinks, then take the elevator up to the Promenade Deck for 180-degree views of the skyline and port. Post-drinking ghost hunts around the ship? Optional. Sarah Bennett is an editor and journalist living in Long Beach. She has been writing about the city and editing local newspapers and magazines for nearly a decade. Follow her on Twitter and Instagram @thesarahbennett.